Orion the Hunter passing over the Medicine Bow Mountains in Northern Colorado. 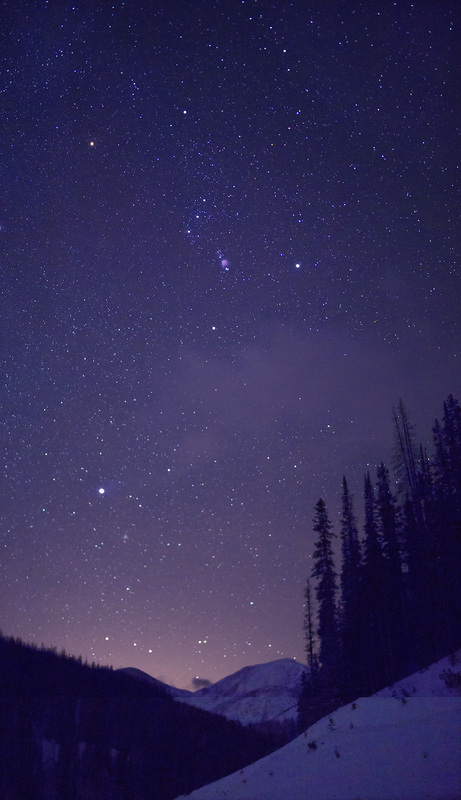 This image was taken near Cameron Pass at 10,000 feet on December 23, 2014. The orange glow is from Denver to the south.